5" DIAL ANALOG DYNAMOMETER (Capacity & Divisions: 4,000 lb. x 25) | Tallman Equipment Co., Inc. Accurately displays weight in any direction within 0.5% of full scale. Dynamometers/load cell/load links are instruments that display the tension force exerted between two attached shackles. 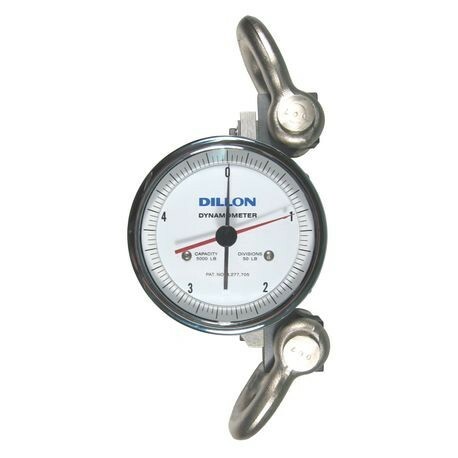 They are generally used to determine the tension in a line or suspended weight.